One day when shopping at G By Guess I saw this dark gray cable knit zip hoodie sweater and I didn't think twice before getting it simply because it looks nice and I love hoodies. Where I live it rains a lot and a hoodie can greatly help when it rains. Plus the cable knit pattern is just lovely. It exudes a refreshing feel that other plain looking sweaters cannot match! 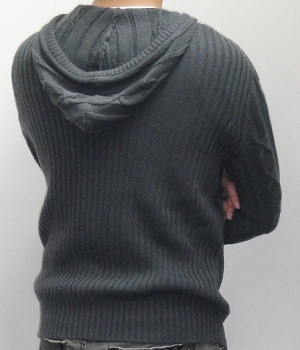 This men's hoodie sweater is plain dark grey and has a cable knit pattern and ribbed cuffs. 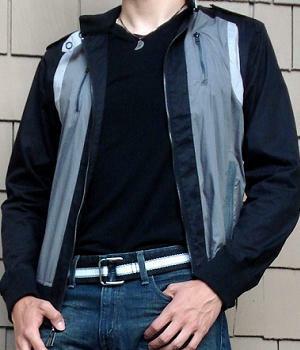 It also has two side zipper pockets and the hood has strings so you can adjust how tight you want the neckline to be. 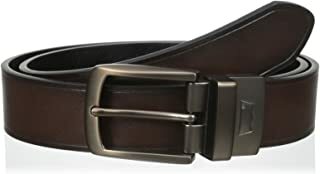 A simply delicious men's wear! I've received great compliments on this hoodie sweater! That said I usually wear a hoodie sweater in a chilly weather or when it's threatening to rain. This sweater fills the need in cold wet weather. When it's not windy I simply throw on some T-shirt and this sweater and I am good to go. If it's windy I may wear a long sleeve thermal underneath to provide extra warmth. Gray being a neutral color naturally goes well with any other color. 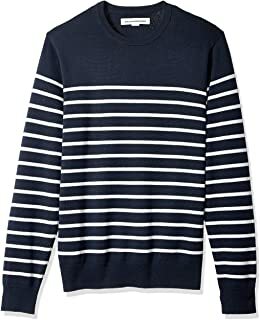 This sweater is more towards dark gray and goes better with black or dark blue jeans or pants than with light colored jeans or pants. 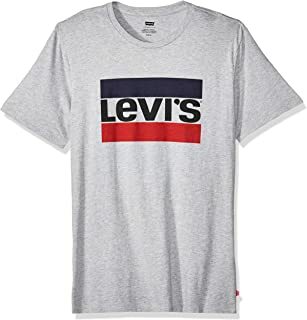 I usually put on a light colored T-shirt underneath the sweater so that I don't look too dark. 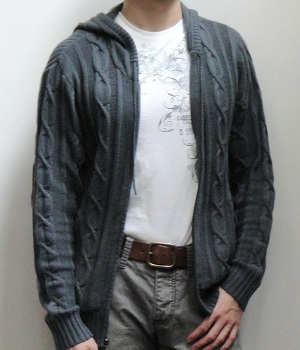 The outfit in the photo is a great one because it brings out the light color of the T-shirt and accentuates the cable knit pattern of the sweater jacket. What a great combination!